John Fordham of The Guardian describes Vein as one of Europe’s most exciting ensembles. 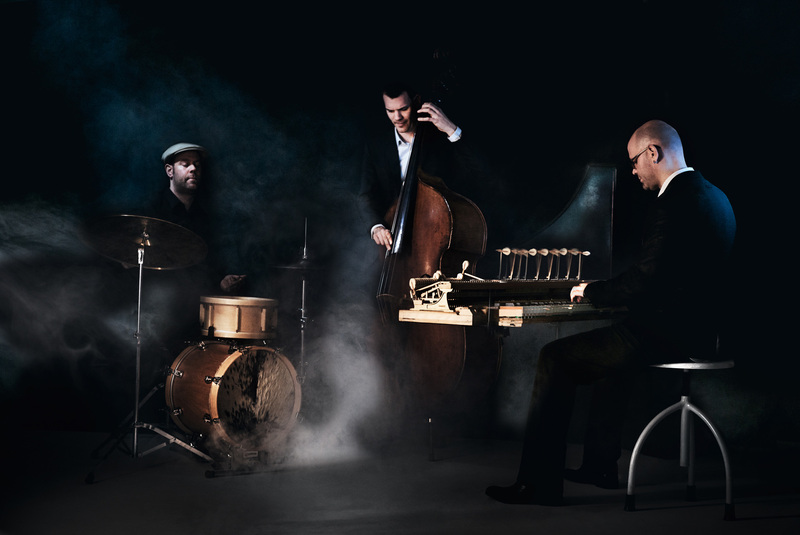 Over the past decade the Basel-based trio has established an enviable reputation among jazz audiences. They are stylistically diverse and technically accomplished, and they blend the complexity of European classical chamber music with the thrills and energy of jazz improvisation at its most sophisticated. All three players are classically trained, and musical leadership is equally shared, creating a fluid, cosmopolitan sound. The group was immensely popular on their debut visit to Watermill Jazz, and this evening they will be playing originals balanced with adaptations of pieces from the classical and jazz traditions, including works from their acclaimed album VEIN Plays Ravel.